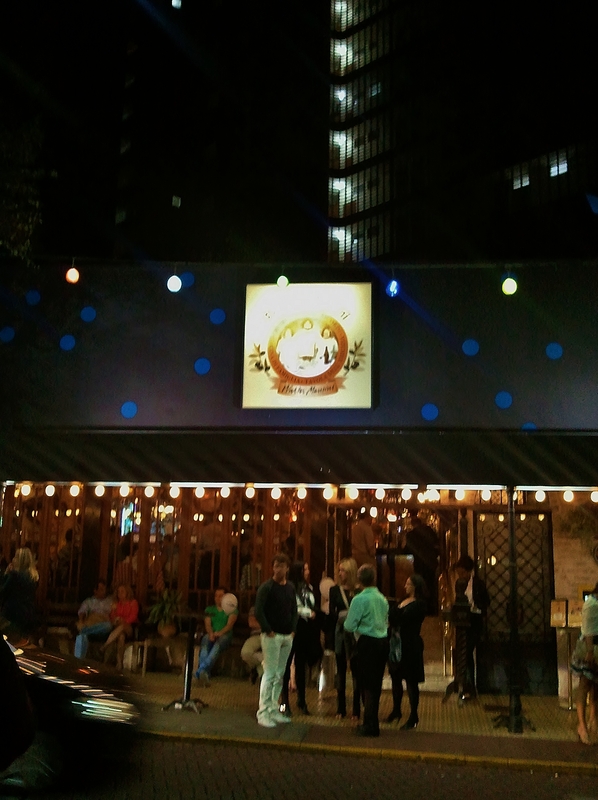 Familigia Mancini has had not one but two very successful restaurants in the old Italian quarter of Sao Paulo, Bela Vista or Bixiga, for many years. On the gently curving one-way pedestrianised cobbles of Rua Avanhandava, the customers’ cars, the taxis, the moto-boys delivering pizzas on their light motor cycles and the occasional rubbish truck or Prefeitura van jostle for space while people alight and manobristas whisk their cars away. It’s lucky there’s plenty to watch on the street, since you can wait forty minutes for a table, nursing a Campari and soda on the benches outside Mancini’s. Set amid the tall Sao Paulo apartment towers, the street is a glittering river of la dolce vita which has brought the neighbourhood upmarket. Apartment blocks have been renovated, and the affluent footfall has attracted chic interior decor boutiques – another attraction to occupy you while you wait to be seated. Mancini’s is a comfortable establishment, but tonight we are on the other side of the street at Walter Mancini’s, where not only the food but also the music vies for your attention. In contrast with the homely interior of Mancini’s – exposed brick and wood over a number of levels and alcoves – Walter Mancini’s is built along a curve of plate glass looking onto the street, and refracting the lights of the interior. This is one place where Sao Paulo – TV actors, journalists, established musicians – comes to be seen, and it’s reflected in the decor. The soundtrack is jazz standards, played by a changing line-up of trios and quartets who take to the central podium. A small grand piano, acoustic bass and a drum kit are fixtures, and the amplifier is decently soft and clear. Valve trombone, saxophone, a chanteuse, all make an appearance. The musicians appreciate and acknowledge the occasional applause from the customers – many are so engrossed in their conversations and their company that you can forgive the players their stony-faced demeanour. For all that the playing is skilled, and the standards played with competence and passion. You see the musicians at table when they have played their set. Oh, the food? I’ve never had a bad Italian meal, even in the back streets of Palermo, though some have been indifferent. Here it’s Italian Brazilian, which is prepared with a somewhat heavier hand – pasta is thicker and doughier, sauces more salty, flavours less balanced and refined – competent, satisfying and popular though it is. In truth, this is a social restaurant rather than a gastronome’s delight, where the ambience is key, whether one is with family or with the stars and the ‘wannabe’ stars. 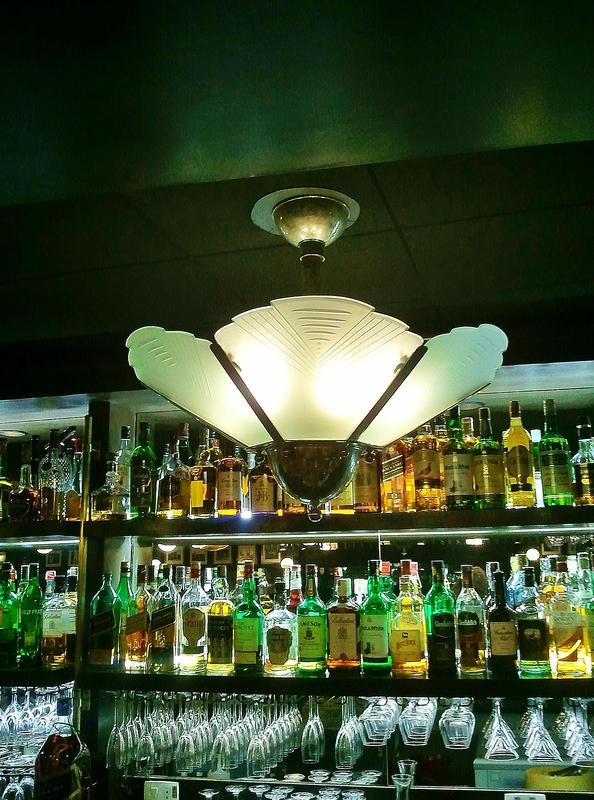 The decor gives you a clue – a long frieze of framed black and white photos of old Sao Paulo, and over the bar, brass plaques commemorate the performers, writers and artists of the metropolis. Lowering your eyes when you finish studying the plaques, another, more obvious function of the bar is crystal clear. Here you can enjoy the delights of your favourite tipple as you observe le tout Sao Paulo. Once you have secured a seat.